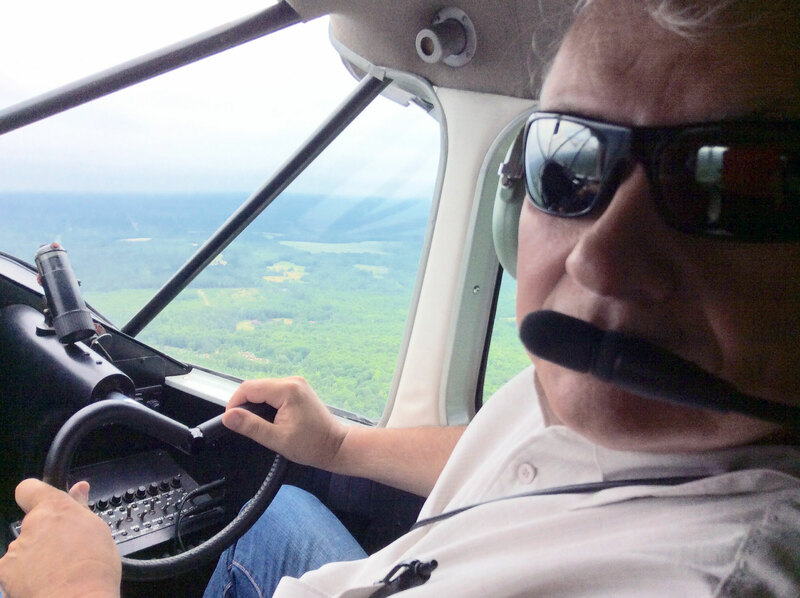 Wynbrandt is a private pilot and a longtime regular contributor to BJT. Bombardier Challenger 600 series: In the 1990s, my airplane would cross paths on a ramp in South Florida with a muscular but sleek business jet that I learned was a Challenger 600 series model. I didn’t hang out with business jets much, but I knew immediately that this one wasn’t like the others I’d seen. The proportions were more ideal and were realized on grand scale. The 600 series still draws my attention on ramps for the same reasons. Recently Gogo Business Aviation invited me aboard its beautiful Challenger 604 to showcase its connectivity equipment. I texted. I talked. I flew in a 600 series Challenger. Life was good. Socata TBM 700: Birth notices of the TBM 700 set my heart racing. It was the first real general aviation single-engine turboprop (sorry, Cessna—to me the boxy, utility C208 Caravan didn’t count), and its shape, performance, turboprop invincibility, and 300-knot speed were everything I’d dreamed of in a category of airplane everyone knew was coming. I was smitten. The Daher TBM 930 was introduced earlier this year. Call me a fool: I don’t know where this relationship is going, but a quarter century later it still seems headed in the right direction. 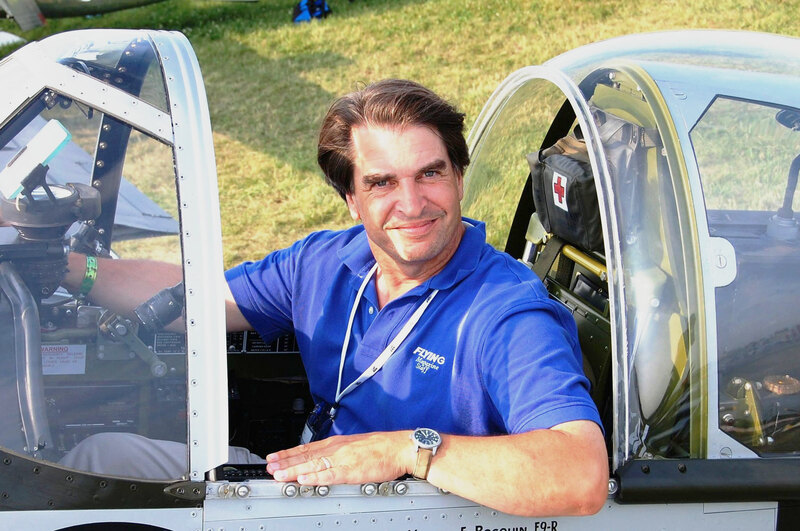 Thurber is a private pilot, a frequent BJT contributor, and a senior editor at our sister publication, Aviation International News. Hughes/Schweizer 300: The aircraft division of Howard Hughes’s Hughes Tool Company (yes, that Howard Hughes) developed this utilitarian-looking helicopter. It’s not pretty, but it’s the first rotorcraft that I could reliably hover by myself, and it gave me an understanding of how it’s possible to fly a helicopter with extreme precision. Sikorsky now owns the 300 program, which is basically defunct, but the model taught many a helicopter pilot to fly. It also spawned a family of popular, bigger, and more comfortably equipped turbine-powered siblings that MD Helicopters currently produces. Eclipse 550: When I finally got to operate an Eclipse a couple of years ago, I found it to be a capable, fun-to-fly personal jet. The 550 cabin is extremely quiet and surprisingly roomy, while the cockpit is better equipped than that of any airliner, and the diminutive yet efficient jet is worth more than three times its originally projected price. Granted, this is not an airplane that would regularly cross the Atlantic or even fly coast to coast in the States, but it can do so if desired. And for a sub-1,000-mile trip with a reasonably light load, the Eclipse 550 perfectly fills the bill. Embraer Legacy 500: This model is part of a new breed of business jet, those with fly-by-wire flight controls. Such controls make the pilot’s job easier and the aircraft safer, smooth the passengers’ ride, and contribute to fuel efficiency. Having flown this new Legacy model, I’ve come to appreciate Embraer’s designers’ skills at making sure the pilot feels well in the loop: the airplane is a pleasure to operate, even though a computer is turning my commands into movement of the flying surfaces that make the jet travel gracefully through the skies. The designers also paid attention to the cabin, which is superbly outfitted yet not ostentatious. The quintessential light sport aircraft, the Siai-Marchetti SF.260 piston-powered three-seater thinks it’s a jet, thanks to thin, tapered wings with only two-thirds the lifting area of a lowly Cessna 150 trainer. Moll, a private pilot, is the editor of BJT sister publication Aviation International News. Siai-Marchetti SF.260: The quintessential light sport aircraft, this piston-powered three-seater thinks it’s a jet, thanks to thin, tapered wings with only two-thirds the lifting area of a lowly Cessna 150 trainer. Designed by the late Stelio Frati, this all-metal masterpiece traces its heritage to the wooden F.8L Falco of 1955, which was a gem of futurism in an era of generally stodgy personal aircraft. I first flew the SF.260 in 1977, and it has been the yardstick by which I’ve measured the handling qualities of the 150 aircraft types I’ve flown. For me, it is close to perfect. 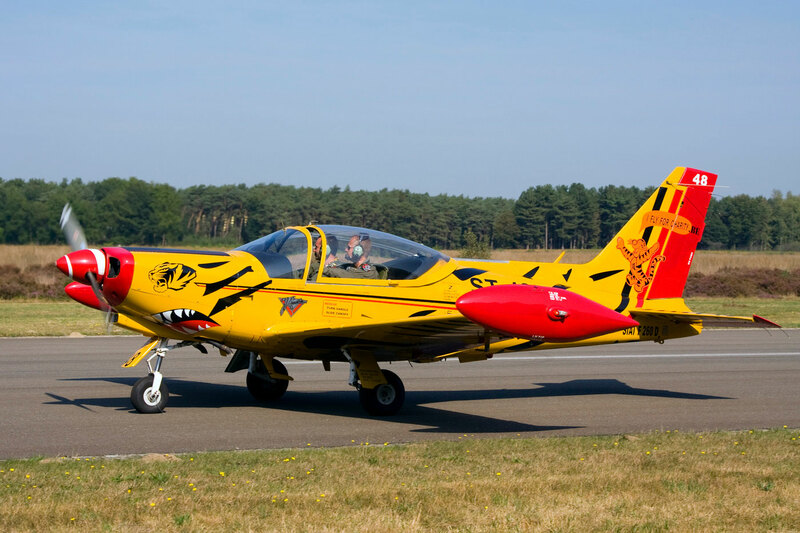 Unlike most aircraft, this one is flown from the right seat, a result of its role as a military pilot trainer, so that the pilot uses his right hand on the control stick and his left hand on the throttle quadrant. It’s stressed for aerobatics, and popular with operators who offer air-combat dogfight thrill rides. Riding in this purebred is an experience that’s rich in sensory input, from the throaty roar of the 260-hp flat-six Lycoming to the perfectly balanced and crisp flight controls, the fishbowl visibility through the slide-back canopy, and the way the highly loaded wings shrug off turbulence. Watch your speed, keep the nose pointed where the airplane is headed (in other words, don’t ask too much of the wings with insufficient speed or airspace), and you’ll be rewarded with one of the finest flying experiences you’ll ever find. Surplus military examples go for about $250,000 but are in the Experimental certification category. Civil-certified airplanes command maybe 10 percent more if you’re fortunate enough to find one for sale. Concorde: It’s still hard to accept that the thoroughbred of the airline fleet is now a museum piece. I was fortunate to occupy the cockpit jump seat of British Airways Concordes seven times and to fly the airline’s full flight simulator. For an aviation nut, the SST offered lots to love: the needle nose, the supremely elegant curved delta wings, the gut-shaking roar of four Olympus afterburning turbojets, the fact that you could travel at the muzzle velocity of a .22 rifle bullet in shirtsleeves while sipping Champagne. Flying the Concorde simulator down the curved Canarsie approach into New York JFK Airport was one of the most memorable thrills of my 40-year career—something I could not have dreamed of as a 14-year-old kid watching the SST’s first flight on TV in 1969. Supermarine Spitfire: Historians have debated whether “The Few” in their Spitfires and Hurricanes were responsible for England defeating Germany in the Battle of Britain. Regardless, it could be argued that had it not been for the Spitfire, Western civilization as we know it might well not exist. That’s how important this elliptical-winged fighter is in the panoply of aircraft. In 1990 I found myself in the back seat of a rare dual-control two-seat Mk IX and was almost overwhelmed by the significance of what this airplane, now in the sky and responding to my hands, represented. It also seemed peculiar that this whole surreal experience was in vivid color, in contrast to all the black-and-white pictures I’d studied in books. After landing, I took off my leather flying helmet and used it to wipe some fresh Merlin oil from the belly. I just wanted part of that airplane and everything it represents to stay with me. Phelps, a private pilot and a columnist for this magazine, is a managing editor at AIN Publications, which publishes BJT. Dassault Falcon 50: I’ve always thought the Falcon 50 was one of the coolest business jets, ever. Yes, the earlier Falcon 20 was the one that got FedEx started and launched Dassault’s line of business jets. And today’s Falcon 7X and the upcoming 8X and 5X are cutting edge examples of how elegant and efficient a jet can be. But for me, the 50 remains special. For one thing, it was Dassault’s first three-engine jet, a configuration that has become one of the airframer’s distinctive signatures. Somewhat non-intuitively, using three engines affords greater performance on less fuel, a Falcon trademark. But what I really like about the Falcon 50 is just the way it looks. Smaller and more nimble than many comparable jets, it has a balance to its appearance that bespeaks agility. The cabin size is “just right”—not opulent, but comfortable and pleasant to ride in. The airframer has a wonderful video clip in its archives of a Falcon 50 takeoff. Shot from the end of the runway, the video shows the jet approaching the camera head-on, accelerating quickly, and then hopping into the air like a playful bird. To me, that video illustrates the essence of the art of flight. 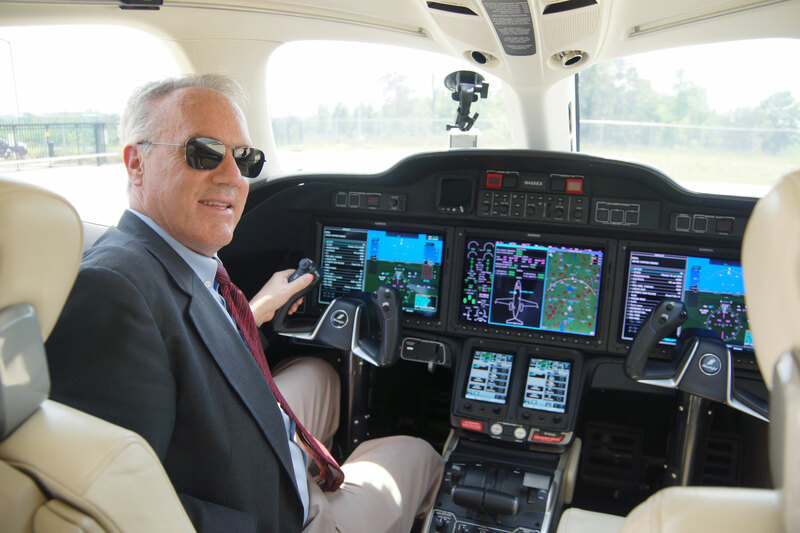 Huber, who has flown more than 50 aircraft types, has reviewed new and used business jets, turboprops, and helicopters for BJT since 2005. Cessna Grand Caravan EX: Fitted with the plush optional Oasis interior’s club seats, this single-engine turboprop gives you more room to stretch out than do some large-cabin corporate jets. Granted, it’s not pressurized, so you’re not flying high (generally under 9,000 feet) or fast (about 180 knots in cruise). But as a result, there’s more to see out the panoramic windows, and you can go to more off-the-beaten-path places. Plus, the rugged spring landing gear means those places don’t have to be paved. Lightly loaded you can take off in less than 1,000 feet, and with aggressive braking and propeller reverse, landings can require a lot less space than that. You can equip the nine-seat Oasis with all kinds of creature comforts, including air conditioning, an electric flushing toilet, a refreshment center, and cabin electrical outlets. Cessna introduced the EX model a couple of years ago. It replaced the standard engine in the old Grand Caravan with the more powerful Pratt & Whitney Canada PT6A-140, providing better short runway, high/hot, and climb performance. The EX also comes with Garmin G1000 avionics. Airbus H175: The first thing you notice about this super-medium helicopter is how tall it stands. The second is how smoothly it flies. This 17,180-pound beast flies like a jet, with less cabin vibration than you’d expect and low exterior-noise levels. The oversized passenger windows provide spectacular views, and the dual-zone air conditioning eliminates the Hobson’s choice of freezing in the cabin or frying in the cockpit. Each passenger position has its own overhead gasper. The H175 doesn’t have an auxiliary power unit, but one engine can be run on the ground while declutched, providing power to cool the cabin before aircraft loading. The main cabin is big—434 cubic feet—and the baggage hold adds another 95 cubic feet. You can load 16 passengers in standard utility configuration or eight in VVIP style. The H175 has established several time-to-climb records, most notably 19,685 feet in just six minutes, 54 seconds. It has a range of 600 nautical miles and a good radius of action under a variety of load conditions: 265 nautical miles with seven passengers plus reserves or 136 nautical miles with 16 passengers and reserves. The avionics incorporate the latest safety features, including automatic hover. Dassault Falcon 2000S: This 2013 entry into the super-midsize market mates large-jet comfort with light-jet runway performance. Granted, it has shorter range than the more expensive Falcon 2000LX (3,350 nautical miles versus 4,000 for the LX) and the cabin layout is standardized, with a forward club-four seat grouping followed by a six-seat conference grouping. However, the 2000S is more than just a stripped-down and shorter-legged 2000LX. It can access shorter runways, thanks to its lighter weight. A fuselage fuel tank was removed, and the addition of inboard wing slats allows it to fly steeper approaches into shorter runways. The slats—extendable portions of the wing’s leading edge that can be deployed at slower speeds—combined with standard autobrake, cut the approach speed to 108 knots. Performance on hot days at high-altitude airports also improves, as does time-to-climb performance. The Pratt & Whitney Canada PW308C engines feature new combustors that cut emissions by up to 40 percent. The engines, along with the winglets, help the 2000S burn 10 percent less fuel than aircraft that are 20 percent smaller, according to Dassault. 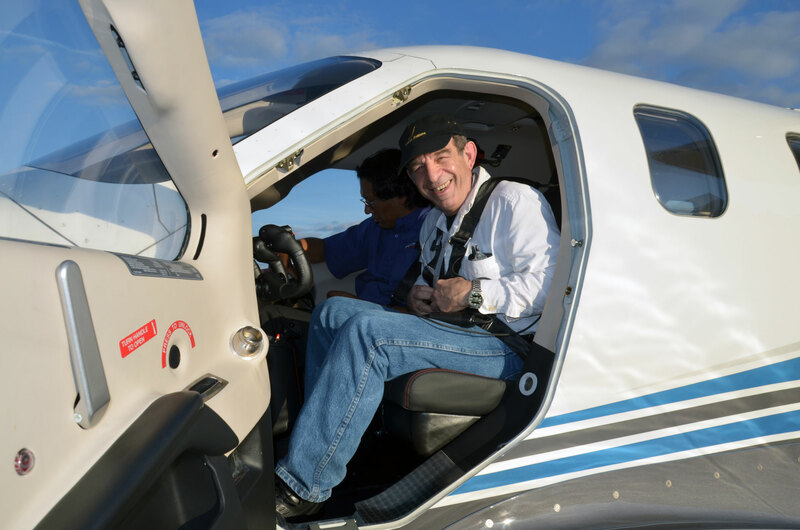 Padfield, who was BJT’s first editor, is a longtime ­helicopter pilot and the 2016 ­winner of Helicopter Association International’s Lifetime Achievement Award. Airbus H175: The H175 entered service last December, making it one of the newest helicopters operating today. I flew a test model (then called EC175) in France in 2012 for a pilot report in Aviation International News and a customer aircraft in Louisiana in 2013. These flights convinced me that the twin-engine H175, with its 150-knot recommended cruise speed and 17,196-pound maximum weight, is well designed, capable, and pilot- and passenger-friendly. 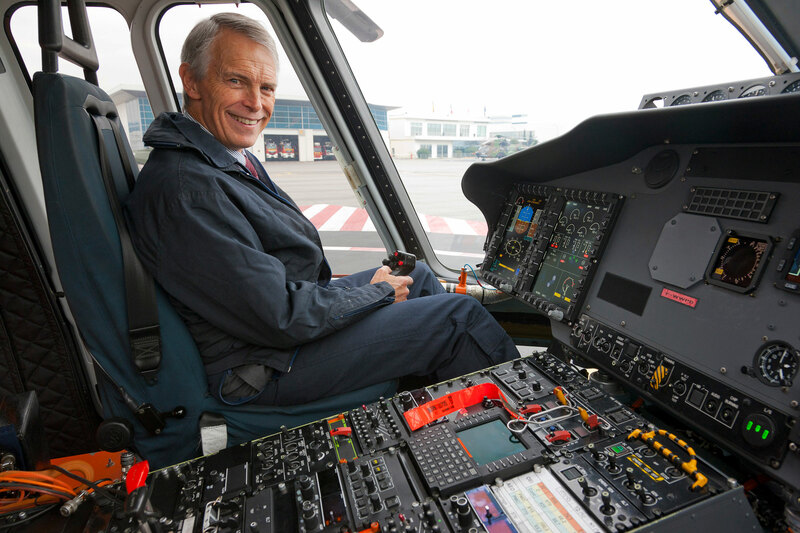 Airbus Helicopters offers a VIP/executive version of the model with interiors designed by Peder Eidsgaard of Pegasus Design, a specialist in private jets and yachts. Priced at about €17 million ($18.8 million), the VIP H175 features a cabin that comes in three styles seating up to eight passengers and one seating up to 12. Eidsgaard found inspiration for these interiors from sports cars, penthouses, and the grand villas of Europe. Options include electrochromic windows, an in-flight entertainment system, and wireless connectivity via satellite.